- Leatherite Tapestry- Made with Branded Parts. 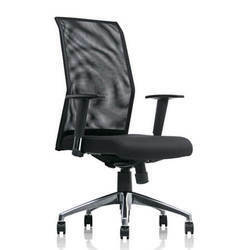 We have been offering a vast range of Sleek Chair that is highly durable. These are light in weight and have a sleek look and are highly comfortable to sit on. Available in multitude of colors, these chairs can also be custom designed as per the specifications of the clients. Our firm is a leading producers and providers of huge assortment of New Model Netted Chair to our customers. 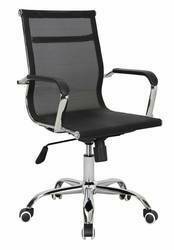 We deserve appreciation from our customers for catering exquisite collection of Stylish Office Chair.